Along with the regular making and fulfilling orders for new Instruments, I have a longer term project making a series of Guadagnini model cellos. 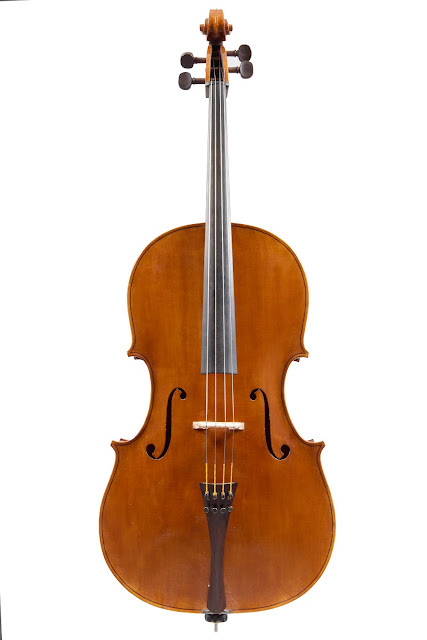 Guadagnini cellos are renowned for their playing qualities, with superb carrying tone and power, and are used as concert instruments throughout the world. 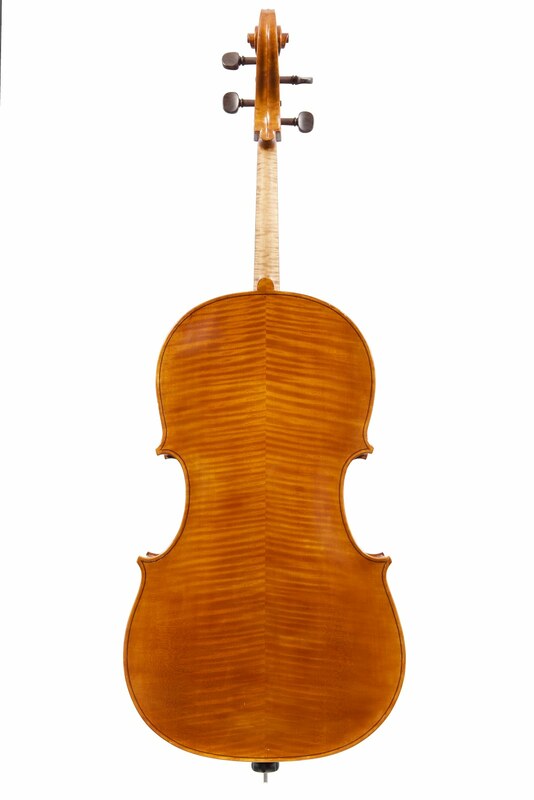 They are also smaller than the standard Stradivari and Guarneri models, at about 715 to 725 mm back length, as opposed to the Strad and Guarneri models at around 750 mm. This results in a shorter string length, which suits many players, especially those with smaller hands, and with no loss of volume or quality in the sound. I have completed two of the cellos so far , one with Maple back and sides, and one with Poplar back and sides. A third cello is varnishing, and three more are in various stages of production. I have used both English and French Poplar, the French being slightly heavier. Some of the wood is about 80 years old, and some younger. ( back length 750mm ) under construction as part of this project to explore sound production in cello making. One is in Maple - slab cut wood with a stunning broad figure and some lovely bird's eye markings and matching Ribs, and a wonderful French Spruce front with much Hazel figure; the other in French Poplar with a front of 20 year old split Spruce.